Dubai, 25 April 2017 – The Tourism Authority of Thailand (TAT) and Qatar Airways, one of the world’s leading airlines, signed a Memorandum of Understanding (MOU) on Monday, 24April at the Arabian Travel Market (ATM) 2017 in Dubai, United Arab Emirates. With this latest partnership, TAT seeks to leverage the strength of Qatar Airways’ extensive global network, particularly its presence in secondary cities in Europe, Africa and the Middle East, to increase the number of tourist arrivals to Thailand in 2017/18. Thailand, one of Qatar Airways’ earliest destinations in the Far East, has grown from strength to strength in the last two decades. 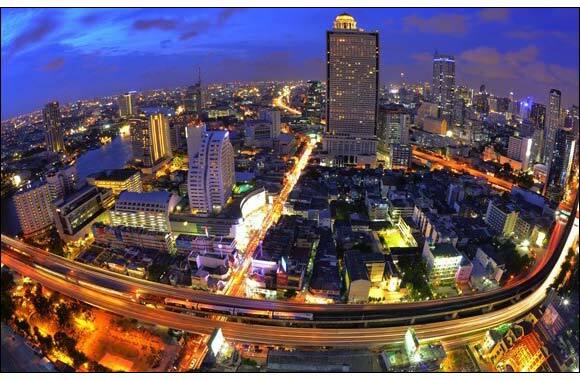 Effective 1 June, Qatar Airways will have five daily flights from Doha to Bangkok. The increased frequency, along with its double-daily Phuket flights and the five-month-old Krabi operations (4 flights a week), take the number of weekly Qatar Airways departures from Thailand to Doha to 53. Besides the existing three popular Thai destinations, Qatar Airways has also set its sights on Chiang Mai, the largest city in Northern Thailand. The MoU was signed by Qatar Airways Chief Commercial Officer Mr. Ehab Amin and Tourism Authority of Thailand’s Deputy Governor for International Marketing, Europe, Africa, Middle East and Americas, Mr. Tanes Petsuwan at a commemorative event at the Arabian Travel Market (ATM) 2017. They were joined by Mr. Yuthasak Supasorn, Governor of the Tourism Authority of Thailand, Mr. Chalermsak Suranant, Director of the Tourism Authority of Thailand Dubai and Middle East Office and other high-ranking executives from both organisations. Mr. Tanes Petsuwan said: “Partnering Qatar Airways, one of the world’s best airlines, will open up additional access to markets which hold great potential for the Tourism Authority of Thailand and our unique tourism proposition. With this MoU, our aim is to jointly put in place the best strategies and practices to enhanceThailand’s marketing footprint and position it as a “Preferred Leisure Destination through Thainess offering Unique Local Experiences ”. “Qatar Airways’ fifth daily flight to Bangkok will provide more connections from Thailand’s key source markets in Europe such as United Kingdom, Italy and the Middle East. In 2016, the number of Middle Eastern visitors to Thailand increased by 13 per cent not to mention the strong demand for leisure travel on Bangkok route all-year round” added Petsuwan. Besides secondary points in Europe, Africa and the Middle East, TAT also has keen interest in the South America market where Qatar Airways has recently announced expansion plans to Rio de Janeiro and Santiago. This will supplement its existing points – Sao Paolo and Bueno Aires. Closer collaboration between Qatar Airways and TAT in South America is to be expected with the opening of TAT’s new office in Sao Paolo later in October 2017. Brazil has been earmarked as one of the key emerging markets for TAT – with more than 40 per cent growth in visitor arrivals in 2016. The Latin America market’s tourism receipts also grew by approximately 30 per cent in 2016.